Soo this just happened. I made dim sum in my own home and scored some major wifey points. And I didn’t make just any dim sum, I am talking juicy, flavourful chicken and shrimp dumplings filled with garlic chives, ginger, garlic, and a hint of sesame oil and soy sauce. My mouth drools just writing about it. Dumplings are so easy to make. 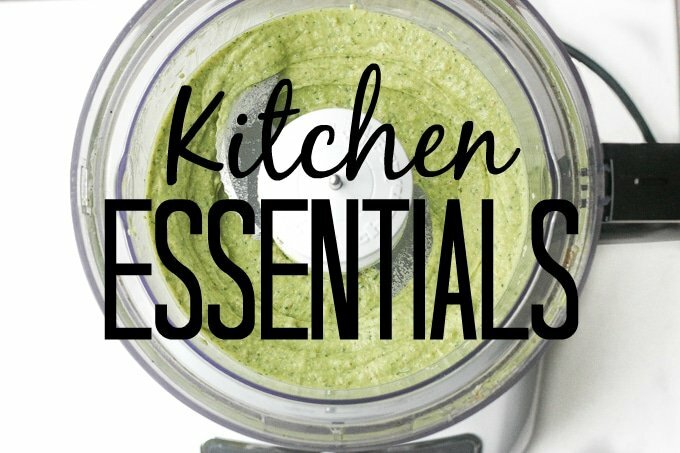 The mixture is easy and the cooking process is easy. What is time-consuming is the folding. 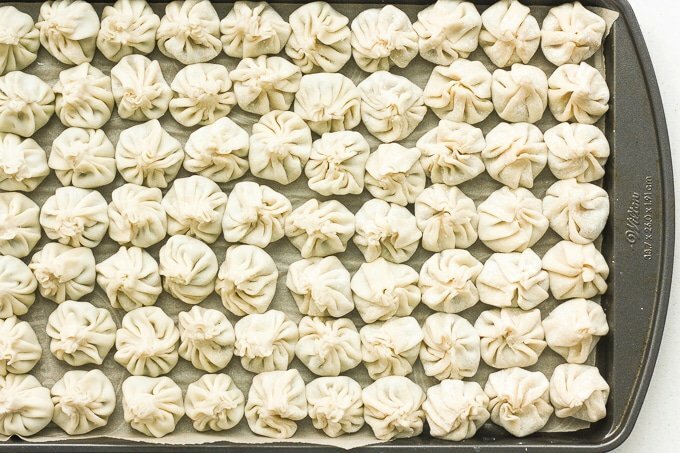 It takes me at least an hour to fold this many dumplings. I make a big batch so that I can freeze them and use as desired. However, if you just don’t have the patience to fold 80 dumplings, simply get a family member to help you or just cut the recipe in half. There are three main ways to cook these dumplings: pan-fried, steamed and boiled. Pan-Fry: In a large skillet, heat vegetable oil over medium heat. Add dumplings and cook 2-3 minutes until bottom is crisp and golden. Add water (enough to cover the dumplings halfway up), cover, and steam the dumplings for about 5 minutes until the liquid is absorbed. Steam: In a pot, bring water to boil . Place dumplings in steamer on top and steam for 15 to 20 minutes until tender. Boil: Fill a large pot with 2/3 water and bring to a boil. Add dumplings and cook until they float and continue to cook for 2-3 minutes. 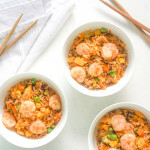 Easy to make chicken and shrimp dumpings can be steamed, boiled or fried and served with a side of soy sauce for dipping! 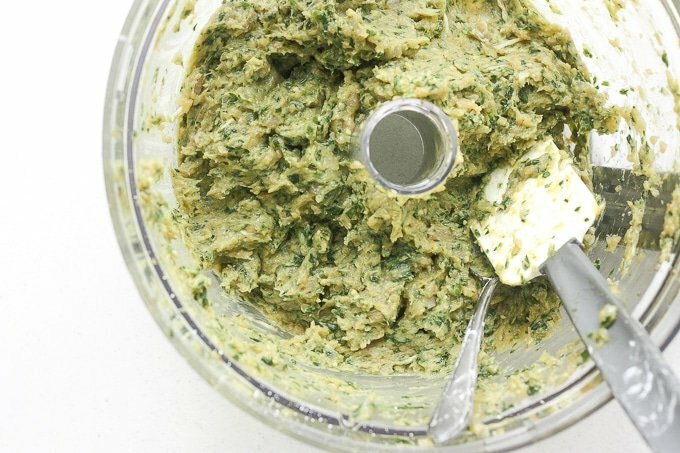 Combine chicken, shrimp, chives, ginger, garlic, soy sauce and sesame oil in a food processor. Scoop a spoonful of the mixture into the centre of a dumpling wrapper. 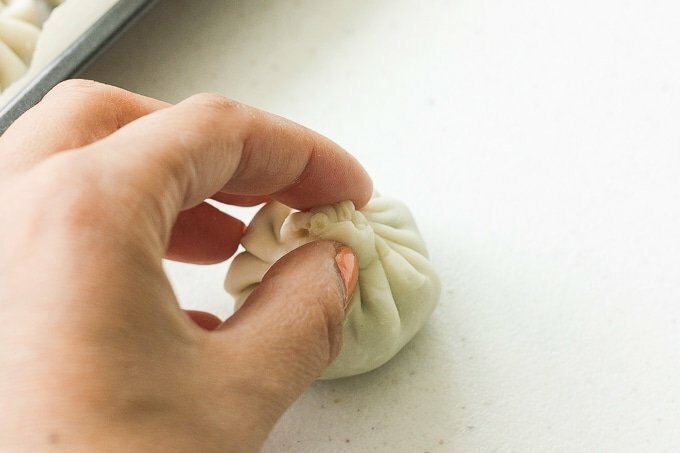 Dip your finger in water and smear along the edges of the dumpling wrapper. Bring the edges up, enclosing the filling and pleat the side together into a little bag to seal the mixture inside. Repeat with remaining dumplings or store in the freezer. 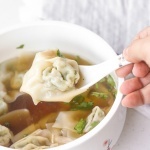 You can also fold the dumplings into a half-moon shape and pinch the edges with a fork to seal. 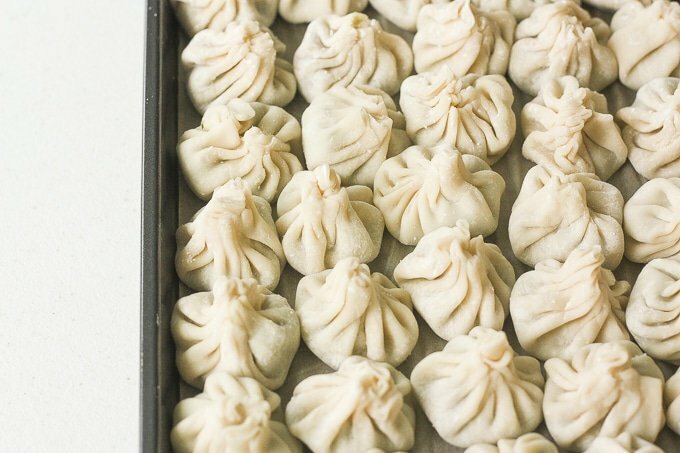 If not serving dumplings immediately, store in the freezer. 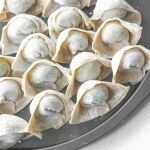 Place dumplings on a baking tray lined with parchment paper and freeze for one hour. Then transfer dumplings into ziploc bags or container for storing. Use as desired. about to try these tasty dumps. mmm mmm mmm. AYOOO!!! Ooooh my goodness, these look AMAZING! 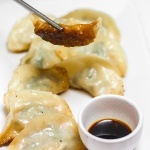 I love pan fried dumplings, and this version looks so good – simple ingredients to let the flavors shine. Looking forward to trying this out. Great job on the dumplings! They turned out beautiful! 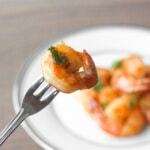 I am pescetarian and for me I would do just shrimp, but my husband would love your version!! I am in awe of you. I can’t even fathom making these. You are a superstar :-). These are just perfect little dumplings! 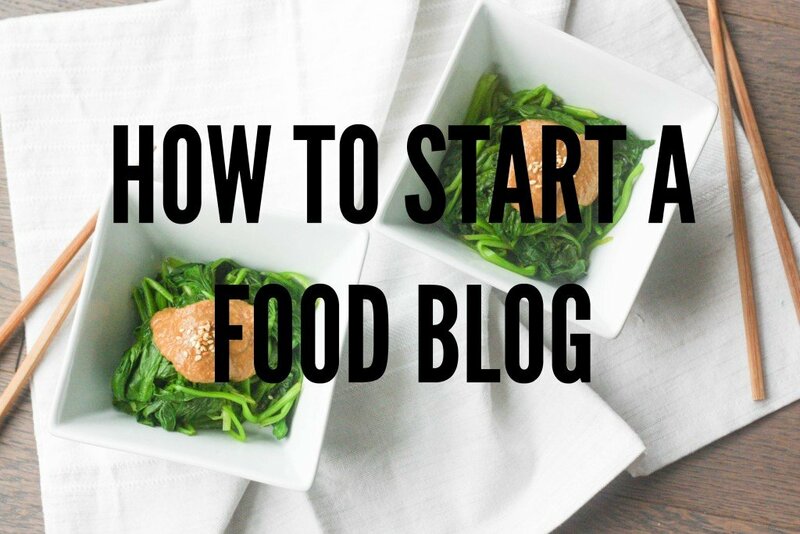 I’ve never made them before but I may just attempt to with this recipe! No, the chicken is raw when you prepare the dumplings. Once you cook the dumplings, the chicken inside gets cooked as well. Your dumplings have come out so well. These look so tasty too. Yum! These sound to die for and just like the ones I get at our local dim sum restaurant! Can’t wait to try to make these!! Thanks for sharing!! Definitely going to try these! Hoping my kids might like them. They look delicious and I love that the recipe is so simple. I have never made these are home. I buy them all them all the time, and I know homemade would be so much better. After looking at this, I just might have to make a weekend project giving this a try. They look so perfect! Dumplings are always a favorite!